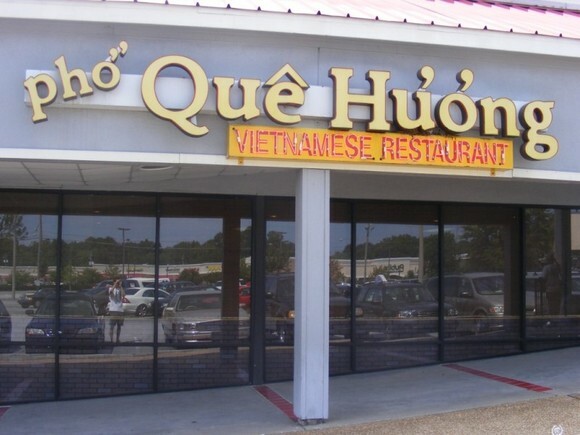 The day after my first solo foray into home-cooked Vietnamese food (sorry, I was too busy concentrating on the task at hand to take pictures), my mom and I met my Dad for lunch at Birmingham’s original Vietnamese restaurant, Pho Que Huong. This place has been around since at least the mid-90s, but now that they finally have some competition, I wondered how they were measuring up. 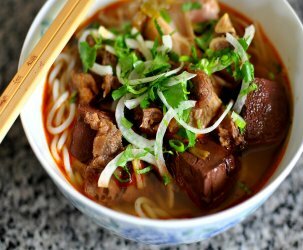 The menu at Pho Que Huong is pretty diverse—the kind of all-over-the-place one-stop shop that you would expect at a location that has long had to satisfy an entire city’s Vietnamese food cravings. My mom and I spent some time exploring our options while we waited for my Dad to arrive. 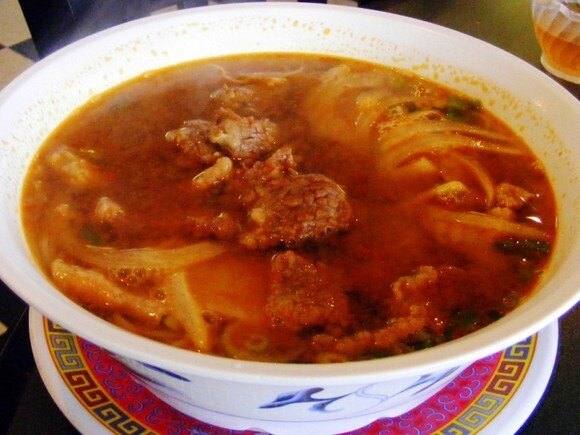 Strangely, our waiter looked Indian rather than Vietnamese, and when I settled on the bun bo Hue, he asked, “Sorry, what number is that? I don’t speak Vietnamese.” Hmmm… I had assumed he was the husband of one of the cooks or cashiers, but I would have thought he’d at least have learned the names of the foods by now. 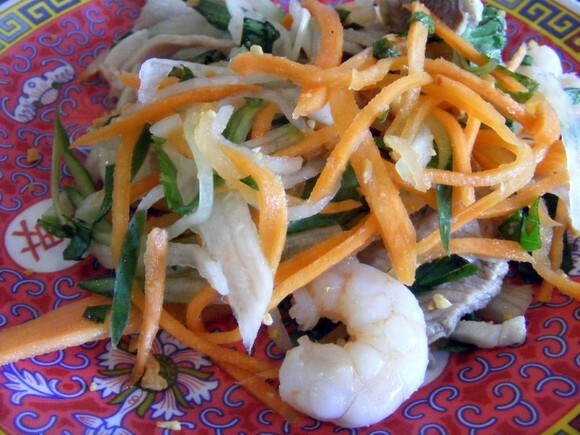 I suggested that we start the meal with a plate of goi tom thit. 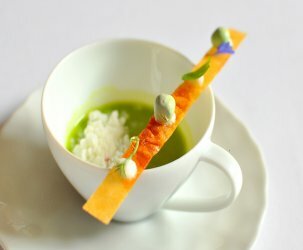 The salad was perfect, with just the right amount of tartness and a nice collection of herbs mixed in. And of course, it featured a hefty American helping of juicy shrimp and pork. 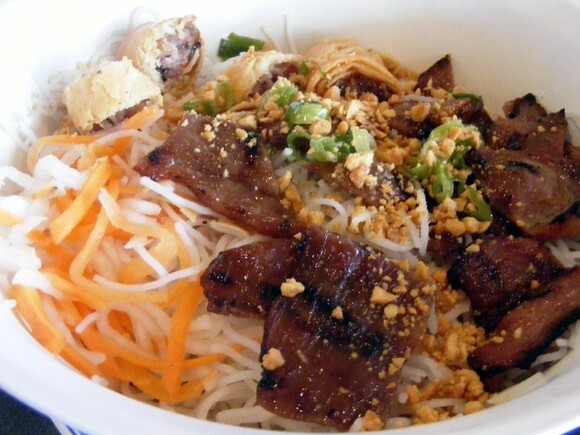 My Dad went with the bun thit nuong cha gio. Just like at Pho Hoang, the cha gio were made with inferior Chinese egg roll wrappers, but the meaty innards tasted pretty darn good. Although the nuoc cham wasn’t the best I’ve had, the dish came together quite well. I was disappointed with my bun bo at first—the flavors just weren’t quite what I was expecting—but it grew on me, and I ended up deciding it was a solid bowl of noodles. I was too full and sweaty to drink the broth at the end of the meal, but we took it home in a Tupperware to eat with some banh pho we had at the house. 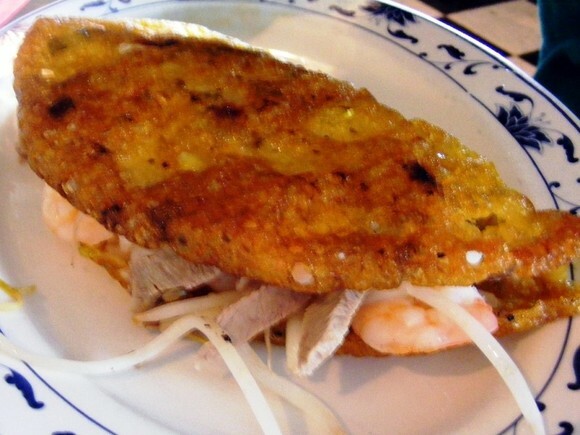 After extensive deliberation, my Mom decided to order the banh xeo. Paired with our noodle bowls, it made for a bit of an unconventional meal, but I always like to encourage my parents to try new things. 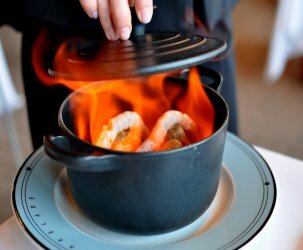 The banh xeo was an interesting hybrid of the southern and central Vietnamese styles: about eight inches in diameter, it was crispy, thick, and overflowing with shrimp and meat. Plenty of greens were provided for wrapping. The overall flavor couldn’t quite match the best of Da Nang-style banh xeo in Vietnam, but I think it actually surpassed the offerings at Saigon’s world-famous Banh Xeo 46A. 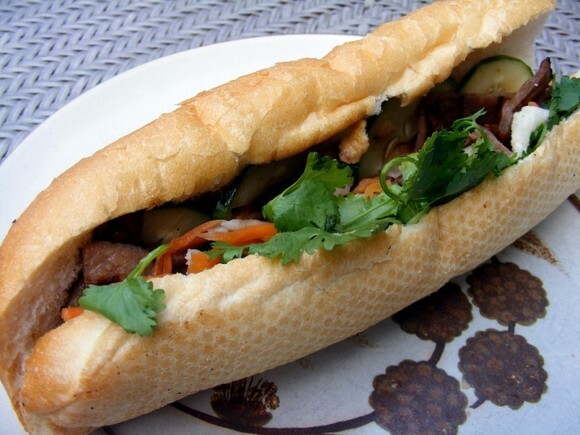 The next day I stopped by Pho Que Huong again to pick up a sandwich for lunch. Even at the outrageous price of $4.50, banh mi thit nuong was my obvious choice. I couldn’t help but be a little disappointed when I got home and opened it: there was no sauce to speak of, just strips of grilled pork with pickled vegetables and cilantro. It was actually an excellent sandwich, as far as sandwiches go, but sadly I was expecting more. The portion size was also rather small for the price—nothing like the sweet deals I’ve gotten on banh mi in California (to compare Birmingham with Vietnam wouldn’t even be fair, but for the record, in Saigon, $4.50 = 15 sandwiches). Yeah, it was a little funny–I guess I forgot to mention it, but in addition to the broth being a bit different, the noodles weren’t the fat round ones that are usually used for bun bo and bun mam. Still, it was pretty good–you make due with what you can get in Alabama. The banh xeo was top notch. My only complaint was that it was actually had a bit overstuffed–at times it was like eating a pile of pork and shrimp without barely any crispy crust. I had ordered a sandwich as well the second time I went. I was disappointed that the french bread was too crunchy and meat was scarce.